Who Pays for a House Appraisal? Whether you're seeking a mortgage loan to buy a new house or refinancing an existing loan, a real estate appraisal is usually a necessity. Sellers might even order their own appraisals to prove to buyers that they have listed their homes for a reasonable price. In most cases, the person who pays for the appraisal is the person taking out a mortgage loan. When you apply for a mortgage loan to buy a house, your lender will want to make sure that it is not lending you more money than what the residence is worth. That's why lenders will send a real estate appraiser to the house you want to buy to determine its current market value. If you have agreed to pay $300,000 for a house that only appraises for $200,000, your lender might not agree to loan you the money. Even though your lender picks your appraiser, you are responsible for paying for the appraisal. You will pay this cost upfront or at the settlement table when you pay the other fees and charges necessary to close your loan. In most cases, your lender will want to determine your home's market value before approving you for a refinanced loan. That's because most lenders won't approve you for a refinance unless you have at least 20 percent equity in your property. This could be a problem if your home has lost value or failed to gain value since you bought it. Your lender will choose an appraiser to determine your home's market value and ultimately your equity. As with an original mortgage loan, you will have to pay for the appraisal. For a refinance, you'll have to pay upfront. Most lenders will not refund your appraisal fee even if an appraiser determines that your home's value is too low for you to qualify for a refinance. It's relatively rare for sellers to order appraisals of their own houses. But it does happen, usually when sellers want to prove that their asking price is a fair one. If an appraiser determines that a home is worth $250,000, sellers who are asking $240,000 for a home can show potential buyers that they are asking a fair price for their residence. Because they are ordering the appraisal on their own, sellers always pay for the service. What Do Banks Use to Determine House Value & Home Equity? What Happens If a Home Appraisal Is Lower Than the Loan Amount? What Does BPO Mean in a Short Sale? The costs of an appraisal vary by location and the size of your home. 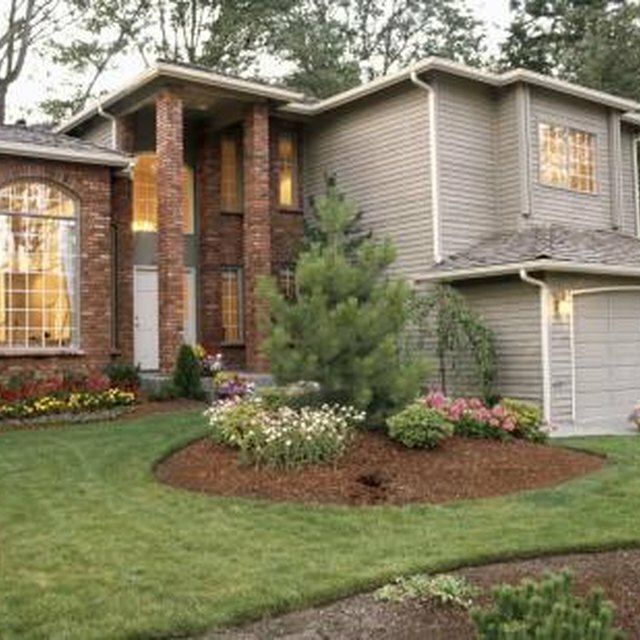 Appraisals cost an average of $300 to $600, as of February 2013, reports Realtor.com. In its 2012 survey of closing costs across the United States, Bankrate.com found that average appraisal costs varied by state. Bankrate.com found that the average appraisal cost $390 in New York in 2012, $419 in Missouri and $456 in Oregon, for example. Realtor.com: Who Pays for the Property Appraisal?